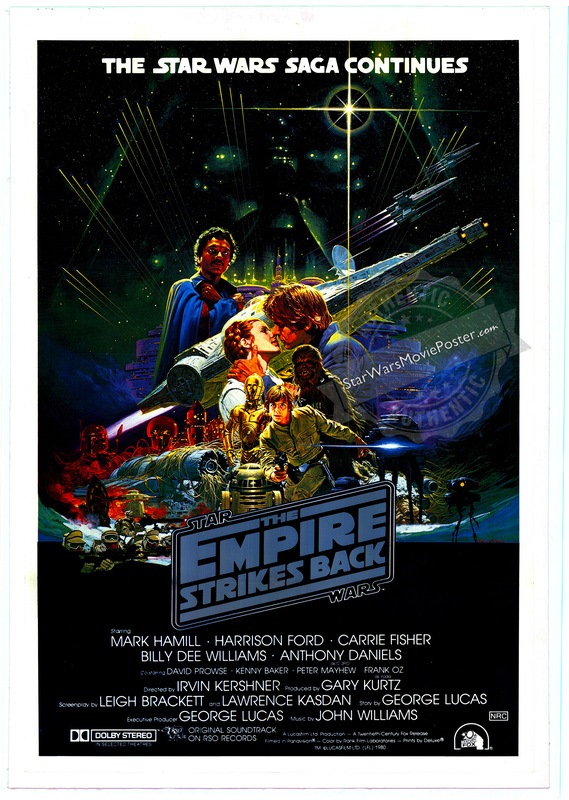 Condition: NM, poster is single-sided, and has been linen backed (actual size w/backing - 28¼" x 41"). Poster is printed on a heavy glossy paper and the colors are still very nice, vibrant, and vivid. 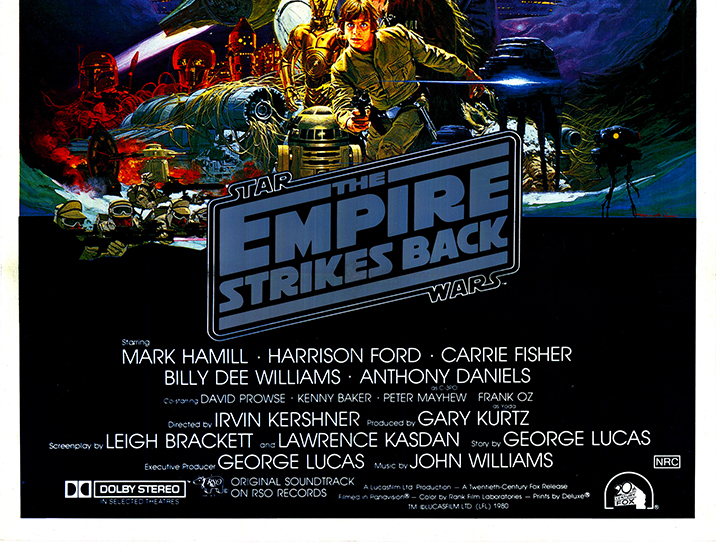 This one-sheet is a really nice example from the Australian theatrical release of the Empire Strikes Back. 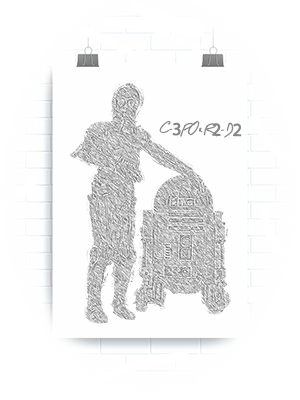 It is ready for framing and would make a great addition to anyone's collection. Please click on the extra large supersize thumbnail image to the right, to see all the small defects. 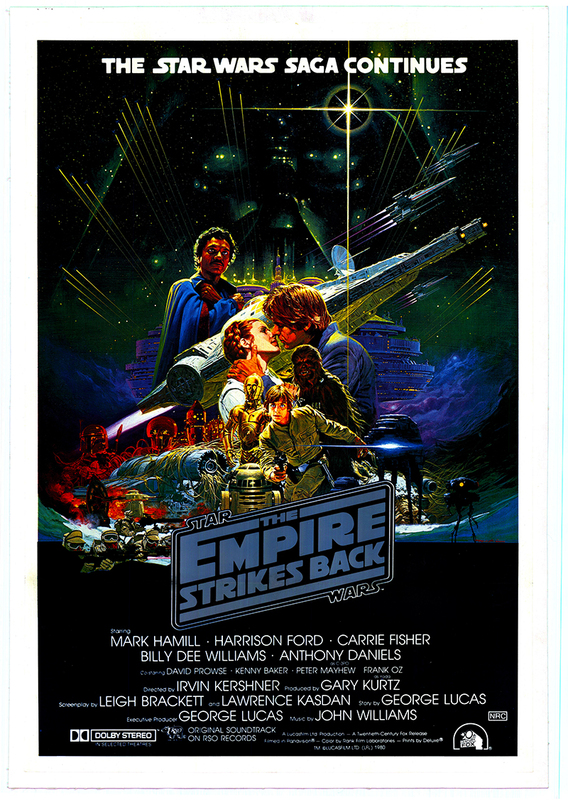 This poster uses the famous international Japanese Empire Strikes Back artwork by "Ohrai". Having this artwork with the English language makes it a highly sought after piece, because it was never printed for use in the USA. Luckily, there always appear to be copies of this Aussie poster floating around for sale, however, the value keeps increasing as the years pass on. 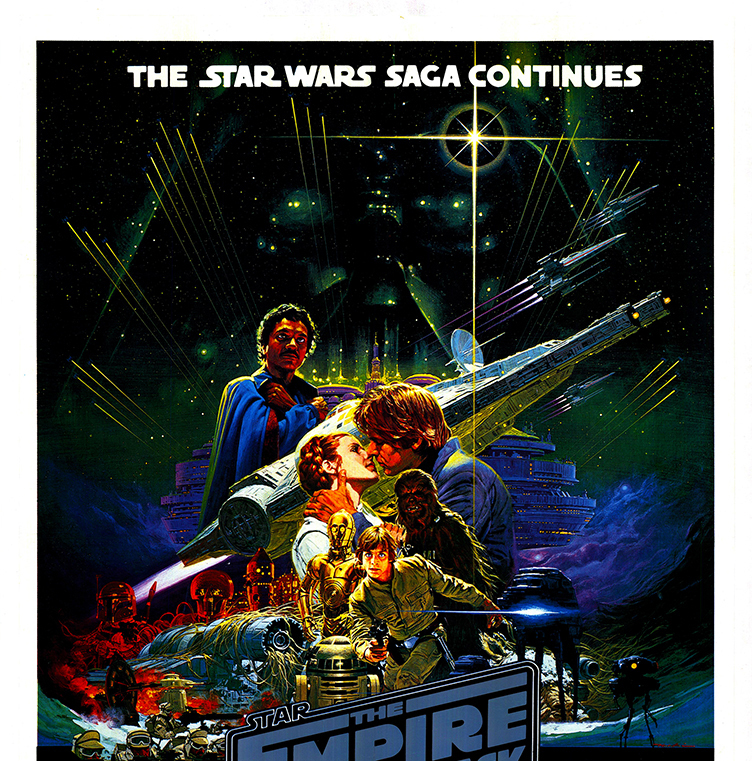 It has the "NRC" (not recommended for children) film rating, and the silver Empire Strikes Back logo just below the illustration, plus it also has, "The Star Wars Saga Continues" in white lettering across the top. Interesting Note* - Unlike the other Australian Saga theatrical posters, the M.A.P.S. Litho Pty. Ltd. logo usually printed in the bottom white border has been omitted. Why, we don't know, because it appears on the Aussie Empire advance and regular daybills.